MR. GILBERT VARLEY, M.Sc., was educated at Huddersfield Higher Grade School and at the University of Leeds where he graduated with a first class Honours degree in Mechanical Engineering in 1910. He served his apprenticeship at the Horwich Low Works of the Lancashire and Yorkshire Railway, after which he was appointed Inspector of Materials at Horwich Works. He became assistant engineer at the Lanarkshire Steel Co., Ltd., Motherwell, in 1915, and was appointed chief works engineer at Cammell Laird and Co., Ltd., Birkenhead, in 1917. In 1928 he became assistant to the managing director of Bean Cars Tipton, and joined William Asquith and Co. Ltd., Halifax in 1930, becoming a director of that company in 1933; he went to Platt Bros. and Co., Ltd., Oldham, in 1935 and was appointed works director in 1943. He joined S. Dodd and Sons, Ltd., Oldham, in 1947 as consulting engineer on the design and manufacture of Textile Spinning Machinery. Mr. Varley joined the Institution as an Associate Member in 1925 and became a Member in 1927. He has served on the Yorkshire Branch Committee since 1934, being Chairman of that Branch in 1942-43. He was elected to the Council in 1945 and has been Chairman of the Membership Committee since April 1952. 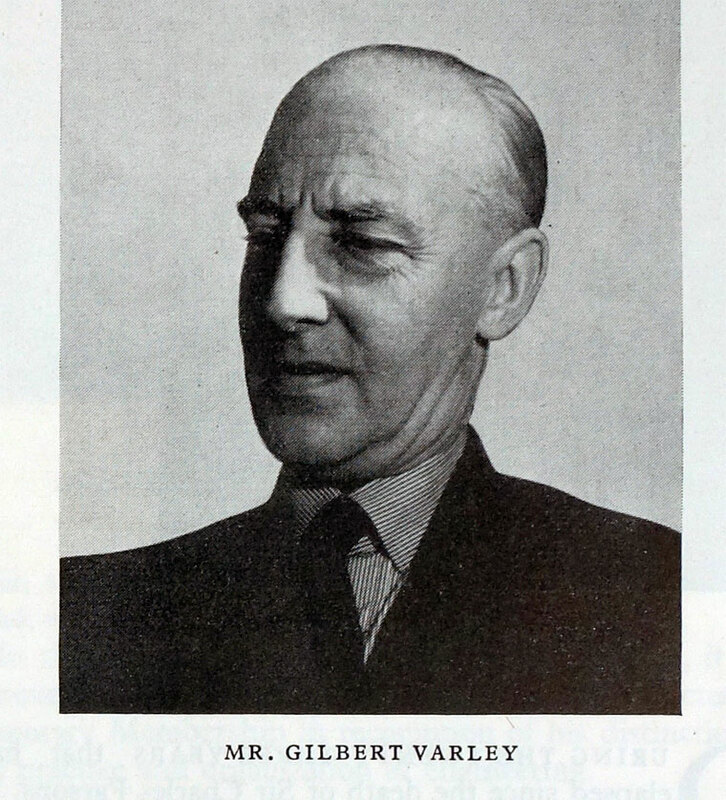 Mr. Varley was appointed Vice-President by the Council in July 1954. Mr Gilbert Varley, MSc, MICE, AMIEE (Member), a former Vice-President of the Institution died suddenly at his home in Huddersfield in August. Born in 1891 Mr Varley graduated with first class honours from the University of Leeds in 1910 and was apprenticed to the Lancashire and Yorkshire Railway, Horwich works. His subsequent career was mainly in heavy industry, he was Chief Works Engineer at Cammell Lairds for nine years. In 1947 Mr Varley joined Dodd Investments Ltd as Chief Engineer and Engineering Consultant after spending 12 years with Platt Bros of Oldham, the last four years as Works Director. His work for the Institution brought him into contact with many members. For 14 years he was the Chairman of the Membership Committee and during this time he worked untiringly on its behalf, visiting firms and interviewing candidates with the utmost impartiality. In later years he continued to advise and help prospective members with his usual unfailing courtesy. Mr Varley was also a Vice-President of the Engineers' Guild and at one time he represented the Institution on the Professional Engineers' Appointments Board. He was also Chairman of the BSI Code on Machinery Guarding committee. Kindly and generous, but firm in his convictions, Mr Varley was a true friend of this Institution. He will be greatly missed by many members and also by the senior staff at headquarters with whom he worked so closely for so long. This page was last edited on 17 September 2015, at 11:53.